This tiny little shop on Mosque Road is a tea aficionado's dream as they stock quite the variety of teas from Assamese green tea and Oolong to lime and rose flavoured teas, and you can buy as much of it as you want by the kilogram. 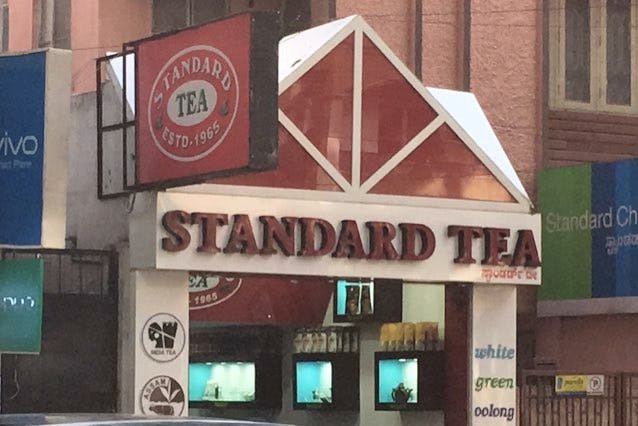 Standard Tea claims that they get their product straight off the tea plantations making for a wholly organic sip. You'll have to completely trust your olfactory senses to judge the quality of their teas as they don't serve a brewed cuppa here. They source most of their teas from the tea gardens and plantations of Assam, Darjeeling and Nilgiri. Prices start at INR 300 for a kilogram but you can buy these teas in lesser quantities as well.